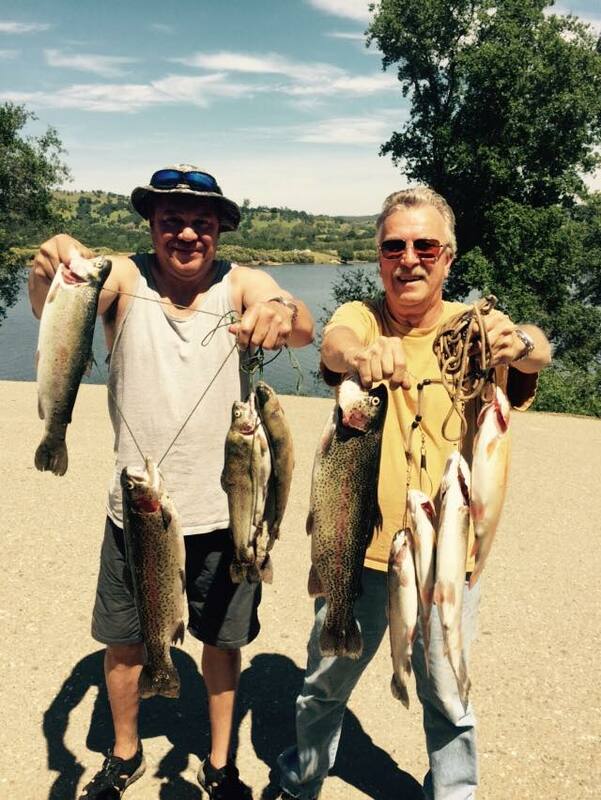 Trout fishing is still holding strong with most being caught in the 25ft depth. 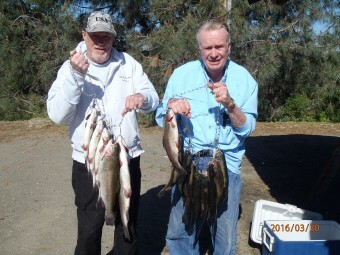 Trout have moved out of the coves with warming temperatures so fish the main body of the lake where it is deeper and cooler. Red worms and Crappie Jigs are bringing in many large Crappie and Bluegill. 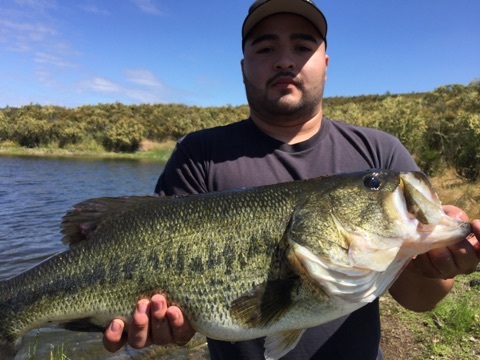 We have seen lots of big bass brought in too with some in our aquariums, with plastics and large jigs working well. Don’t forget to check us out on Facebook for more catches and details! 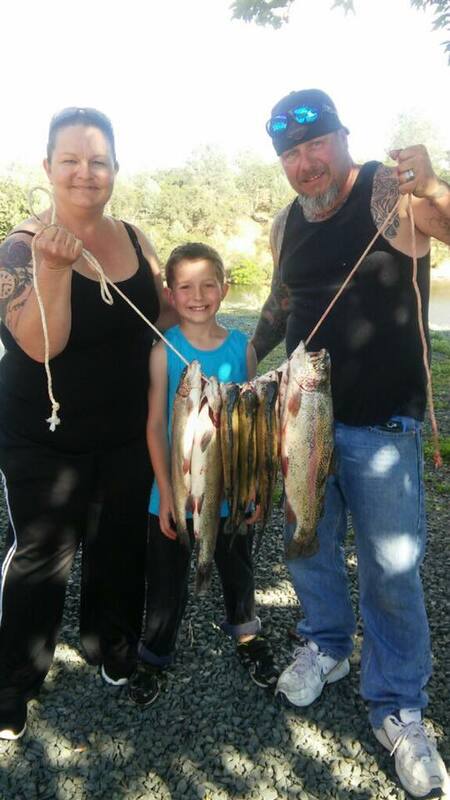 Right now is the magic time of year where you can fish for anything, be it Crappie, Bluegill, Bass, Catfish and or Trout. Everything is biting. Red worms and Crappie jigs are catching Bluegill and Crappie. Night Crawlers, Power Bait, Mice Tails, and Kastmasters are still the baits and lures of choice for Trout anglers. Bass are hitting on plastics like senko’s and large jigs. 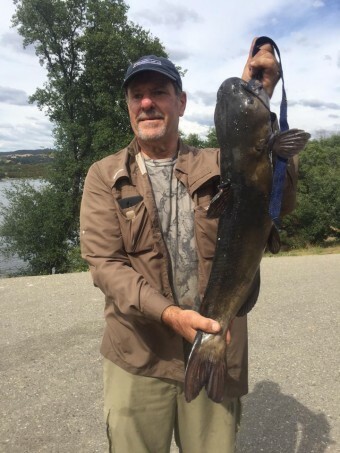 The catfish are on a Power Bait kick with many in the 16lb range being brought in. Don’t forget to check us out on Facebook for more catches and details! 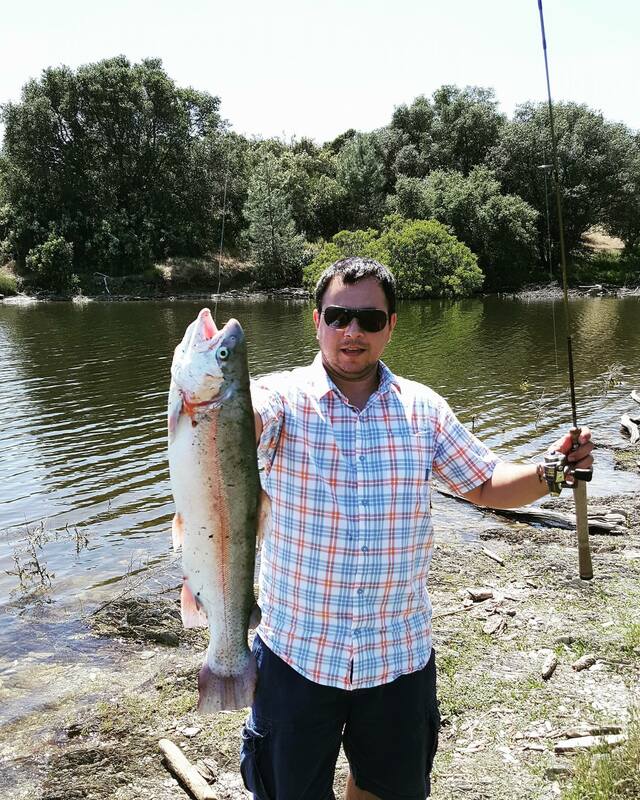 We have our last load of 2400lbs of Rainbow Trout coming this week, unfortunately we got a last minute email stating that we will not be receiving anymore lightning trout this season. Trout are still biting strong on power bait, mice tails, and Kastmasters. 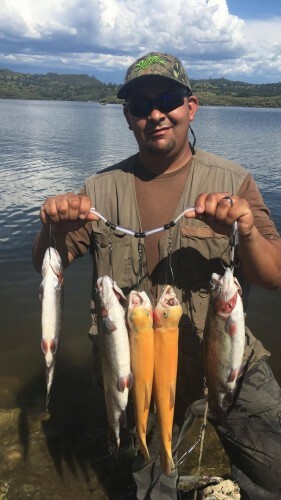 A group of gentlemen that always come and knock them out say to use a small ball of power bait on a 5′ leader and cast about 25′ out and let it sink, cant go wrong. 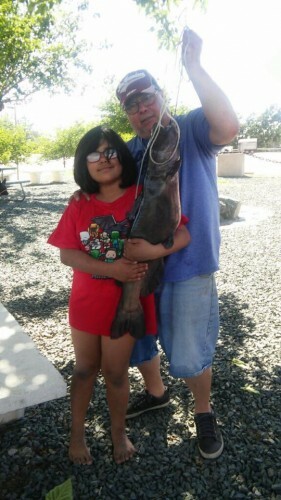 The catfish will soon be hot with many starting to be brought in over 16lbs! Crappie and Blue gill are being caught off the dock and in the coves. Many Bass fisherman are coming out and doing well with plastics and jigs. Don’t forget to check us out on Facebook for more catches and details! 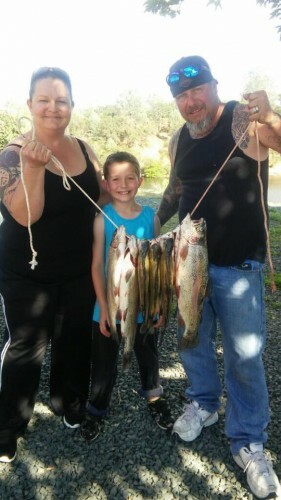 We are getting closer to the end of Trout season. We planted 2400lbs this past Thursday May 5th with one last plant coming before Memorial weekend. The Trout are still biting strong at about 20ft deep. Power Bait, Mice Tails, and Kastmasters are what is hot. Boaters are doing well in the Jackson Creek area in the back of the lake. More and more Blue Gill and Crappie are being caught, with structures like the big dock being a good place to fish as well as the coves. Don’t forget to check us out on Facebook for more catches and details! With all the warm weather lately the trout are staying cool during the day at about 10-20ft deep, making the morning and evening bites the best when cooler. Power Bait and Kastmasters seem to be what is working the best at this time for fisherman. But with the warmer weather the bite is on for Bluegill, Crappie, and Catfish! A 16+lb catfish was caught while trolling for trout last week. Reports have been made that the Bass are now on their beds preparing to spawn. Don’t forget to check us out on Facebook for more catches and details! The Trout have finally moved down to deeper depths with reports of fish being caught between 10ft-20ft deep. Lots of Lightning Trout being brought in over the last week up to 6lbs. Bass bite is still strong, and Crappie are on the rise. Power Bait seems to be the best for both shore fisherman and boaters lately. Don’t forget to check us out on Facebook for more catches and details! 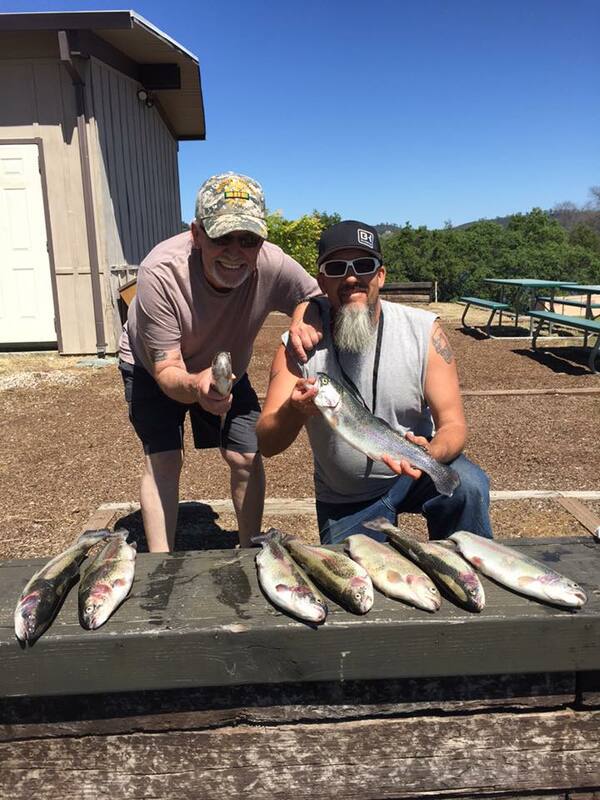 Its Spring time and we received and planted our first load of awesome Lightning Trout! Trout are still hanging around in the top 10ft of water with Power bait, Power Eggs, and Night Crawlers all working well. Boaters are still fishing Jackson creek with the cold water flow and the coves in the back of the lake. Don’t forget to check us out on Facebook for more catches and details! All this cooler weather has the possibility of bringing these trout up in the top 5ft of water again. Shore fisherman have been doing well using small Kastmasters, Night Crawlers, Power Bait and Power Eggs. 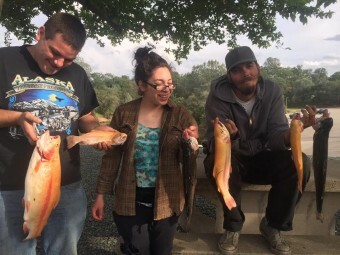 There are still reports of boaters knocking them out in Jackson Creek and bait fishing the coves in the back of the lake. Bass seem to be being caught everywhere with many reports in Jackson Creek area and in Carson Arm. Don’t forget to check us out on Facebook for more catches and details! The lake is full and Water clarity is good! Beautiful time to go fishing with all this nice weather. The Crappie bite is back on with reports of them being caught from the big dock and in the Mt. Springs area. The Trout are within the top 10ft of water and still relatively close to shore. Most reports of fish caught from shore are on green and rainbow Power Bait, Night Crawlers, and Mice Tails. Boaters have been trolling the outer edges of the lake with Spinners and the go to lure the Broken Back Fire Tiger Rapala. 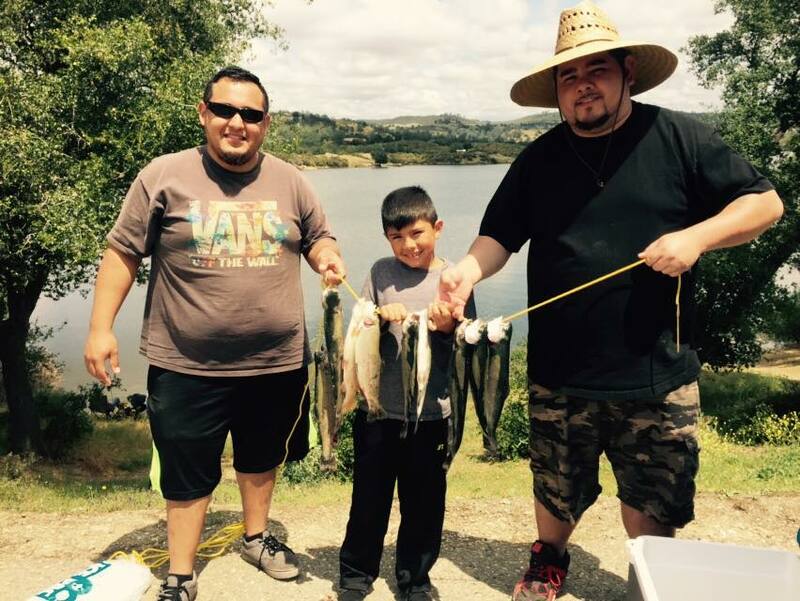 Boaters are having great success in the Jackson Creek area and bait fishing the coves in the back of the lake. The Bass are feeding heavily right now preparing for their spawn so we please request that catch and release is practiced with these fish right now so they can have a chance to reproduce. Don’t forget to check us out on Facebook for more catches and details! Ed, Mike and Larry all caught their limits within a few hours!